"A Gold Medal winner in 2012’s Canadian Brewing Awards, this GMO-free Pilsner offers a balance of malty sweetness and hoppy bitterness that refreshes the palate and quenches thirst. In 2013, Steam Whistle was voted by CityBites (a Toronto based publication) as the best beer to be paired with lobster (see page 26-27). 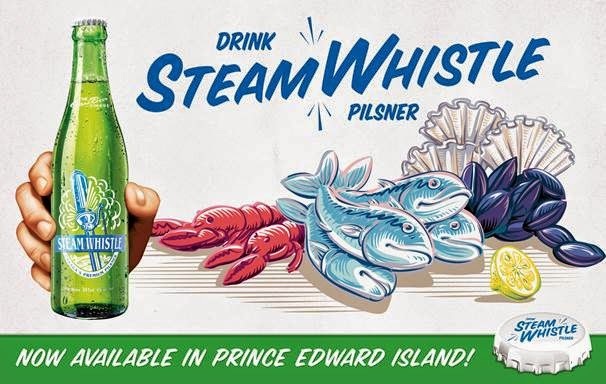 It was the lager’s ability to accentuate the sweetness of the crustacean and the lobster’s ability to bring out the malt of the beer that earned the Pilsner its title." There you have it. Go grab a sixer, some lobster, and try it out. Let me know how it goes.